Cape Town - Recently promoted Kaizer Chiefs starlet, Nkosingiphile Ngcobo, has been described as having the club's blood running through his veins by his mother, Thembelihle Audrey Ngcobo. The 17-year-old was moved into the first team squad for the 2017/18 campaign, and a bright future appears to be in the offing for the teenager from KwaZulu-Natal. 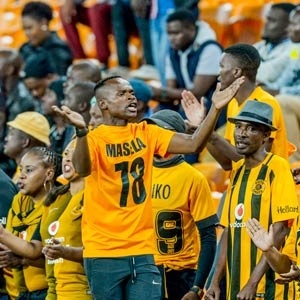 She told the club's official website, "Our whole family supports Kaizer Chiefs, even long before we realised Nkosingiphile was a talented player. My favourite was always Doctor Khumalo. "He really loved to watch Gerard 'Tso' Sibeko play. He would always study his moves. More recently, Nkosingiphile followed Siphiwe Tshabalala closely. "He was in awe of everything related to Amakhosi. For example, there were always posters on the wall in his room of Chiefs teams and players. He also enjoyed reading the Amakhosi Magazine to learn about all his big heroes. "He was so young and already far from home. However, we knew Kaizer Chiefs took good care of him. We also knew that Chiefs are his home."